You’d have to be a hermit not to have noticed at least one Snowdog sculpture across the region recently. 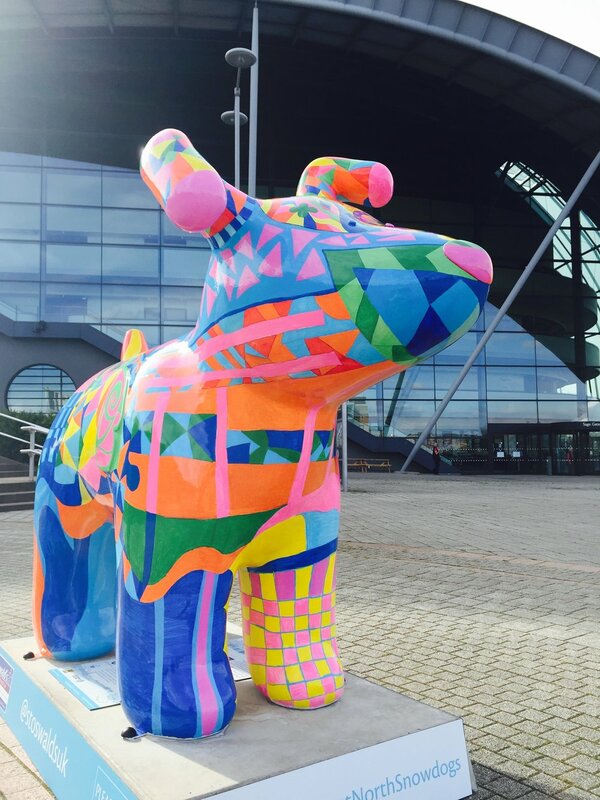 A total of 61 Snowdogs, each with a unique design, were displayed on a public art trail for ten weeks across Tyne and Wear’s streets, parks and open spaces. Standing at 1.5m tall (4ft 9ins), the eye-catching sculptures included several local designs, including two in the colours of Newcastle United and Sunderland football teams. 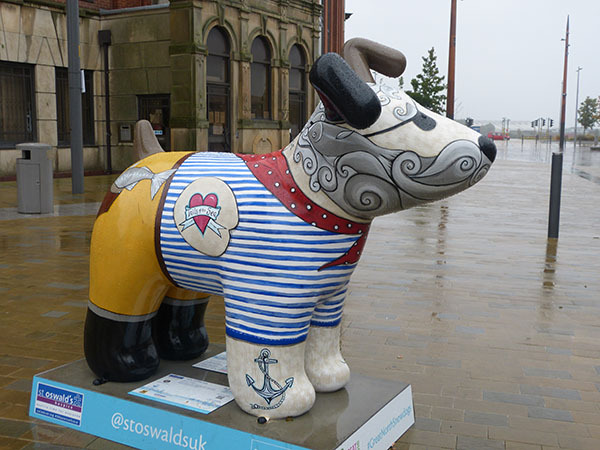 Other designs ranged from a Captain Spock design and dogs displaying local landmarks and maps through to a pirate Snowdog at the coast and one with glass accessories incorporating Sunderland’s National Glass Centre. The individually designed Snowdog sculptures, painted by both well-known and undiscovered artists were presented by creative producers Wild in Art, working in partnership with St Oswald’s Children’s Hospice in Gosforth. 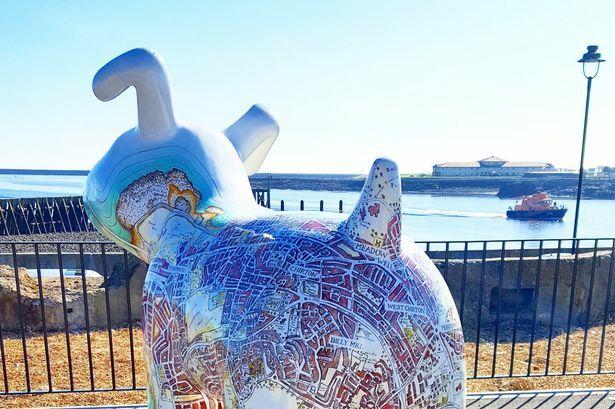 Their aim was to bring together businesses, artists, schools and community groups to create a public art trail based on the popular The Snowman and The Snowdog by Raymond Briggs. The sculptures have created much joy across the region as children and adults alike have tracked the full map trail which led them from the coast to the city and right up to Northumberland. Last week I attended the final farewell auction of the Snowdogs at Sage Gateshead where all the loveable creatures were auctioned off to raise vital funds for St Oswald’s Hospice. A whopping £252,200 was made by the end of the night and all Snowdogs were escorted off to their new fur-ever homes. 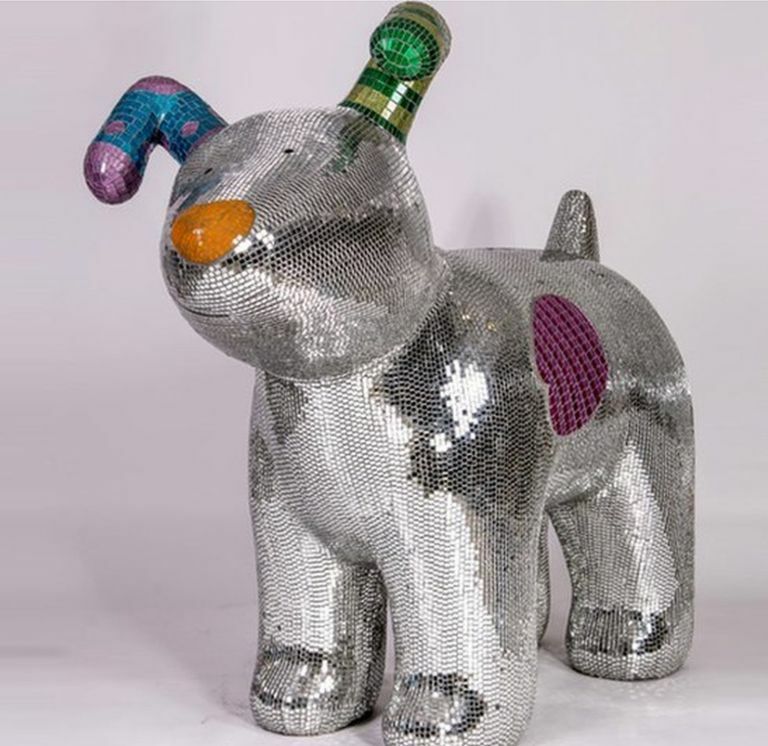 The highest price of the night was paid for Disco Dog, designed by mosaic artist Natalie Guy, which sold for a whopping £9,200! Popular Durham based farm, Mini Moos Fun Park, went home with a grand total of four Snowdogs for families to come and visit at the venue. Other dogs found fur-ever homes at a variety of businesses, charities and causes across the region. St Oswald’s Hospice sponsored its very own Snowdog. 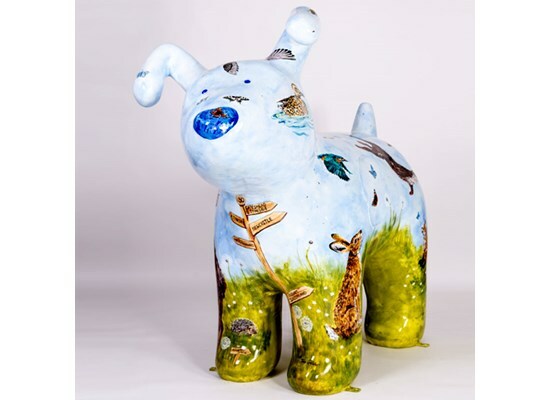 The aptly named Wild North East dog became particularly precious to the children and young adults cared for at the hospice who watched him being painted and even added some decoration of their own before he was placed at Jesmond Dene. Renowned wildlife artist, Jina Gelder, based this design on wildlife native to the North East, adding hedgehogs to represent the hedgehog house at the hospice, flowers from its gardens and signposts showing the breadth of the region it covers. After meeting the young people who use the hospice, she was inspired to include butterflies to symbolise their short but beautiful lives. To bring him home forever the charity launched an appeal in a bid to raise a minimum of £4000 in order to buy Wild North East at the auction. The appeal was a roaring success and the dog was delivered back to its rightful home this week much to the glee of hospice staff and users. “The Snowdogs campaign has captured the hearts and minds of the public in a way in which we never anticipated. Tonight’s auction has raised a phenomenal amount of money which will be put to great use within our hospice. The campaign has presented us with opportunities to communicate with a wider audience and to fundraise in a unique and imaginative way. The event has opened up many doors for us and has allowed us to build connections with individuals and organisations from across the region, some of whom hadn’t heard of the hospice before. “Tonight we’ve been amazed and humbled by the enormous generosity of our bidders who’ve collectively raised a huge sum of money for our Children’s Hospice. Looks like we’ll all have to be armed with our maps and cameras again for 2019….